NEW ORLEANS – Time is of the essence in NAIA Outdoor Track & Field. 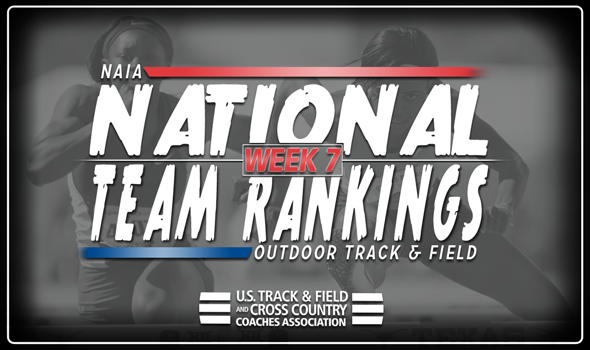 With less than two weeks remaining until the 2018 NAIA Outdoor Track & Field Championships, teams are jockeying for every last bit of position in the most recent National Team Rankings that were released Wednesday by the U.S. Track & Field and Cross Country Coaches Association (USTFCCCA). NOTE: These are the final rankings that will use regular season marks. Our Pre-Championships Rankings that come out Tuesday will only use those qualified for the national meet. Nothing changed in the top-5 of the men’s rankings: Indiana Tech remained No. 1, followed by Wiley (Texas), Doane (Neb. ), Wayland Baptist (Texas) and Tennessee Wesleyan. This is the fifth year in a row that the Warriors have been ranked No. 1 this late in the season. Indiana Tech has held down the top spot in the rankings 31 times since 2014. Outside of the top-5, Hastings (Neb.) and Central Christian (Kan.) both moved up two spots from Week 6. The Broncos went from No. 8 to No. 6, while the Saints ascended to No. 8. There were two new additions to the top-25: Cornerstone (Mich.) at No. 22 and Southern Oregon at No. 25. Wayland Baptist (Texas) sits No. 1 for yet another week and the ninth time in the past two years. Indiana Tech sits right behind the Pioneers, while Southern-New Orleans (La.) and Hastings (Neb.) come in at No. 3 and No. 4, respectively. Doane (Neb.) climbed two spots from No. 7 to No. 5 after a strong weekend. The Tigers watched Kate Grint hit a nation-leading mark in the shot put of 14.95m (49-0¾). Grint also sits fourth on the Descending Order List in the discus and 23rd in the hammer. There were two new additions to the top-25: Rio Grande (Ohio) at No. 23 and Eastern Oregon at No. 24.